Hails from the Ronso tribe which resides at the foot of Mount Gagazet. At the instruction of Auron, Kimahri accompanied Yuna to Besaid 10 years ago. He seems to be wary of others during their first encounters. While he does not speak much, he imparts wise words. He earned the summoner’s trust and joins the party as a guardian. 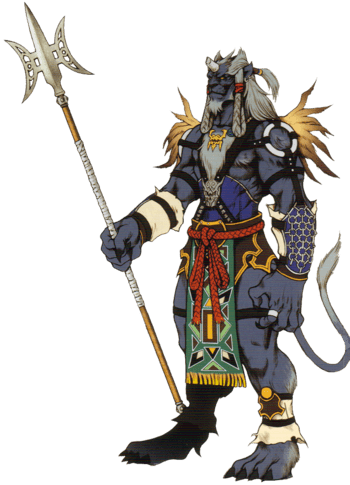 Depending on how you build his Sphere Grid, Kimahri can turn out as a jack-of-all-trades because majority of his attributes are either decent or very high in comparison to the other members of the party. In order to unlock the other Overdrives, Kimahri must use Lancet on the following enemies.